It's a lovely spring afternoon in April, and that means a full slate of MLB games. 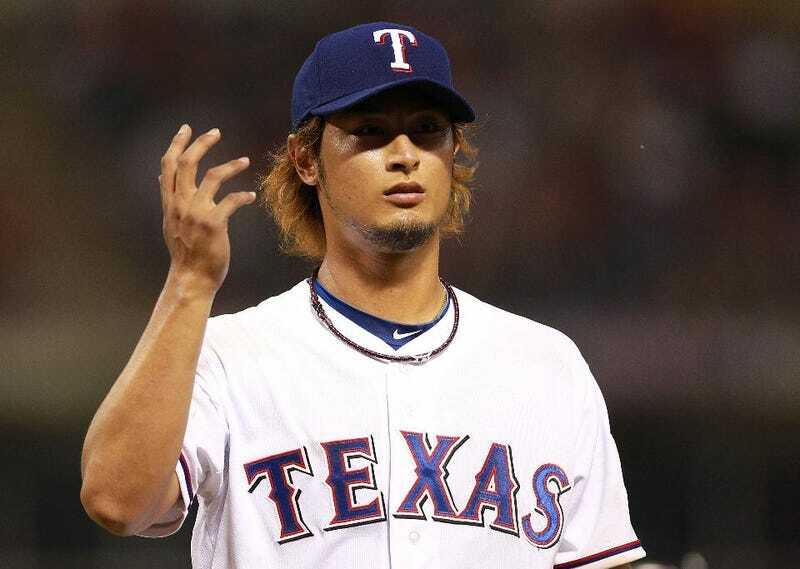 Yu Darvish has already thrown 27 fewer first inning pitches against the Twins than in his first start of the year. The Machine and his Angels are in the Bronx against the Yankees. Later today, the Rays play the Sox in Fenway, which Rays DH Luke Scott hates. I'm sure it's mutual, Luke. Direct all your Luke Scott (or Tim McCarver) hate below.